Shoaib Akhtar famous Pakistani fast bowler has shocked all of us by exposing his new side. This man has decided to do something else than cricket. 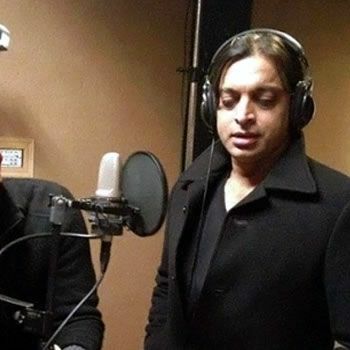 Shoaib has decided to sing a playback track for an upcoming Pakistani movie ‘Saya-e- Khuda e Zuljalal’. The song is Jaag Ja Pakistan , not only hi but the song will be accomplished by many others like Rambo, Kamran Mujahad, Asjad and Wisdom Salad. The film’s music is done by Irfan Saleem and Anthony Soshil (Moon). The name of the movie Saya-e- Khuda e Zuljalal signifies (A.k.a SKZ, meaning Protect of Magnificent God) directed by Umair Fazli and Produced by Dr. Tauseef Razaque. Film cast includes Umair Sultan, Nayyer Ijaz, Arbaaz Khan, Nauman Ijaz, Shaan, Shafqat Cheema and Rambo. Jersey Shore Second Generation Is On It’s Way! Kanye West Opens Up About Being Bipolar & Mental Health In The U.S.